Freshen up your style and fashion with the Fujifilm X-A3 DSLM Camera that is designed with a classic retro appeal. Fully made in aluminium with a faux leather exterior design, the Fujifilm X-A3 has a slim built that is handy and convenient for light travels. Shooting at 24.2MP APS-C sensor with image processing engine, the Fujifilm X-A3 is able to produce high image quality with excellent contrast and accurate colours. Comes with a 180° tiltable 3" LCD touch-screen display that allows you to shoot at extreme angles and also frame the perfect selfie. You can also enable "Touch AF," "Touch Shoot" and "Touch Zoom" that can be done using just your fingertips. 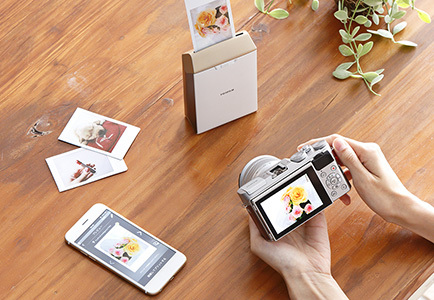 Connect to the Instax SHARE via built-in WiFi function for instant print within 16 seconds. 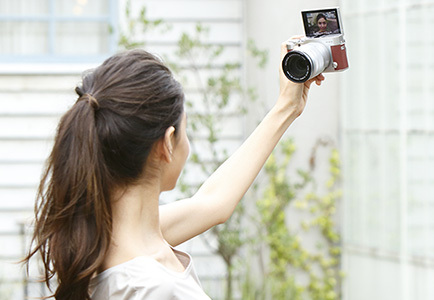 Browse your photographs and videos captured by the Fujifilm X-A3 with the Fujifilm Camera Remote from your smart devices connected via the WiFi connection and transfer your favourite images straight into your devices. Tell your story from different perspectives with in-camera filters and special effects that allow you simulate old camera film and take shots with multiple exposures.